Minu Kim was born in Seoul, South Korea, and began playing the piano at the age of 12. 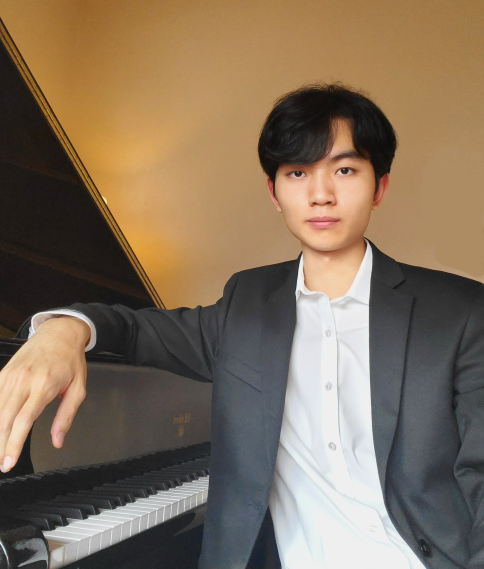 Since then, in addition to winning COT’s 2019 Young Artists’ Competition, he has won many other competitions including Dong-A Times Competition, South Chungcheong Department of Education Competition, Viva M Competition, Tucson Music Teachers Association Scholarship Audition, and the Southern Arizona Symphony Orchestra Youth Concerto Competition. He also participated in a masterclass with Daniel Hsu. In 2017, he moved to Arizona and started studying with Dr. Kyungsun Choi. Minu is a senior at Buena High School in Sierra Vista. In the fall, he will attend the School of Music at the University of North Texas, where he will major in piano performance. He will perform movements 3 and 4 of Franz Liszt’s Piano Concerto No. 1 at the April 28 Pops concert in Green Valley.